Poland: A book on FX Loans. 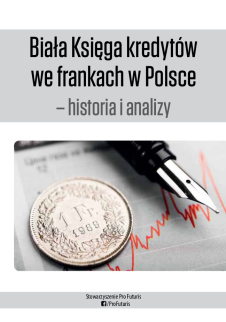 This book is a collection of articles about the FX Loans problem in Poland. The authors are lawyers, academics, journalists and two “frankowiczów” (FX Loans borrowers) – Thomas Sadlik, “the most famous rebel” president of the Association of Defence Victims of banks and of the Citizen “Pro Futuris“, and Zofia Abramczuk. This topic is presented from different perspectives and points of view – the product itself, its offering, history, as well as the effects and proposed solutions. Law firms described the issue from the point of view of possible violations of Polish and EU law. There is also a description of the scandalous “sales techniques” by a former employee of one of the banks showing how banks tratowały and treat their customers – the numbers in their databases. You can buy the book in this link!